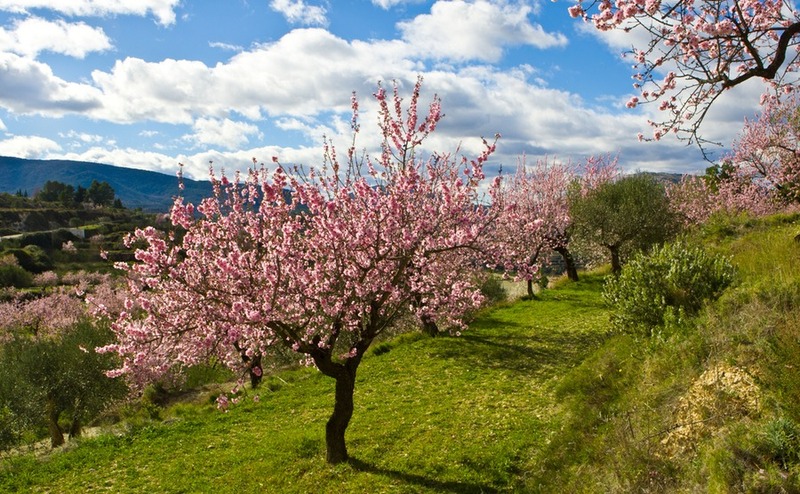 Easter is the most important and biggest festival in the Spanish calendar. In fact the actual word for Easter is Pascua, but since the celebration goes on for a long time, the Spanish use the term “La Semana Santa” or Holy Week. All across Spain there will be processions. At the head is the cross with a marching band playing religious themes. Participants wear a long thin hat, which may look like that of the Ku Klux Klan but is totally unconnected. A float, usually covered with flowers bears a religious statue, maybe of the Virgin Mary. The traditional food for Easter in Spain is not a chocolate egg, though of course these are on sale. Rather it is a delicacy called “torrijas” which is bread bathed in egg and milk and then fried. It is topped with honey or sugar. Okay, not everyone may see this as good news! This year Easter Sunday will be unusual as it is also the day of a hastily called General Election. Spain holds holds elections on a Sunday (unlike the UK which always has elections on a Thursday), so after going to church or taking part in a procession, or just being spectator, Spaniards will head for the polling station to vote for a new government. The election is happening because the minority PSOE government failed to get its 2019 budget passed in parliament owing to the Catalan parties refusing to support it. The Prime Minister, Pedro Sanchéz had no option but to call the election. Interestingly his party is leading in the polls but he may not get an outright majority which means he will again need support of smaller left leaning parties. Meanwhile, the emergence of a new right wing party, Vox, is causing concern in some quarters. Many of their policies are stepping backwards, for example, banning abortion, refusing women equal pay, etc. It is also running on an anti immigration policy directed mainly at refugees from Syria, Libya, Afghanistan and other war torn countries and is fervently against Catalan independence. Vox won 12 seats for the first time last year in Andalusia’s government elections. If you’re thinking of a holiday home, why not pool your resources and buy with family? Read our guide, Buying Abroad with Family to find out how to halve the cost and double the fun! April 28th will no doubt produce a very interesting result. It may fall to the Catalan parties to once again support Mr. Sanchez who has over the past few months, attempted to have a dialogue with the pro Independence Catalan government. If the right wing parties should form the next government, Catalonia might see the end of autonomy and find Madrid controlling the region as it did for several months following the implementation of article 155 of the Spanish Constitution after the illegal referendum for independence was held in October 2017. Another result of this election is that there is no Spanish government in power when the UK leaves Europe on 12th April – or in May, perhaps a new date set by Brussels. In the event of a longer delay, a Spanish government should have been formed by the last days of May but then we have the Local and European Parliament elections due on 26th here in Spain. British citizens in Spain can vote in both of these elections if registered. Scientists in Barcelona have been able to create a drug which obstructs the main gene in the majority of aggressive cancers, in particular lung cancer. Researchers at the Vall d’Hebron Oncology Institute are soon to trial the drug, Omomyc, on patients after successful trials with mice. It seems that the medication is well tolerated and can be administered either by nasal spray or intravenously. Meanwhile in Aragon, a firm has invented “smart inner soles” to correct foot problems such as position and are recommended for people of every age and lifestyle. Though obviously very useful for sportsmen and women, the insoles can correct many issues to do with feet. Podoactiva is the manufacturer and they are specialists in digital and podiatry engineering. Look out for these insoles which are expected to be on sale from this summer at a reasonable price. The insoles sound like a dream for those with posture and issues with their feet. As from last month, prescriptions can now be taken to any chemist in Spain instead of having to go to a pharmacy in the region where the prescription was issued. At the same time, doctors are now able to access patients’ notes anywhere. New medical SIP cards are being distributed which enable a patient to receive treatment in any region of Spain, not only where they live. It is not compulsory to change your existing medical card for the new one but if you lose it or it cannot be swiped, then you should apply for one. The benefit of the new cards is that if a person is taken ill while travelling in Spain, a doctor can quickly access their medical notes to see if there are any pre existing medical conditions. The government has also announced a recruitment drive to fill 780 posts, 450 for doctors and the reminder for nursing staff. The government now requires banks to cap their commission charges or so called “administrative charges at just €3 a month. Consumers will be delighted because at present some charge a huge €12 a month, though the trend is definitely moving towards a more competitive financial sector. Certain banks charge no commission but require a minimum balance of €2,000 or more. The new cap of €3 will also affect credit and debit cards in that renewals will also cost no more than €3. Even better news is that the cap also applies to up to 120 withdrawal or payments a year not only in Spain but with in all of the European Union. Any transaction over and above the 120, banks can only charge their usual commission. New rules concerning transfers to different banks will mean that it will be much easier to transfer funds, often with no fee payable. Banks will also have to inform their customers about the most advantageous deals offered by the bank, including their commission charges. An Independent Financial Advisor can be an enormous help with giving impartial advice on organising your finances. 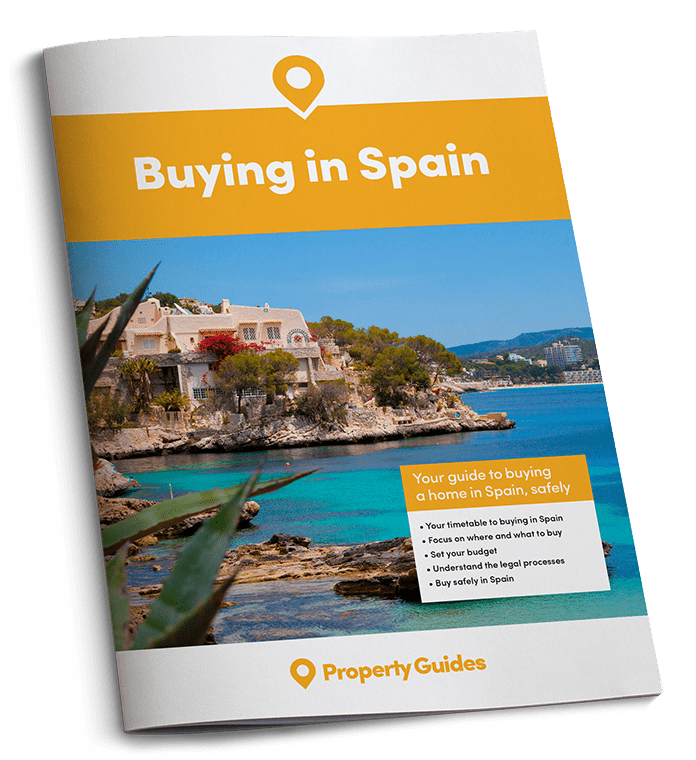 We can put you in touch with a trusted partner who has plenty of experience helping UK buyers moving to Spain. From 1st April, there will be free WiFi on most trains which run between Spain’s two main cities, Madrid and Barcelona. Later in the year it should also be available on the remaining trains. Eventually, free WiFi will cover all of the AVE network. AVE are very fast trains linking major cities. The busiest line in Spain is Madrid – Barcelona but recently the train operator has faced stiff competition from air travel within Spain and this is seen as one way of fighting back. Added to that, in 18 months’ time rail links will be opened up to private companies. This means that RENFE, the state owned railway company will, for the first time in its history, be in direct competition with new players. The EU parliament recently voted to end the annual clock changes in the autumn and spring. This will allow each country to decide whether to keep the system or to stay on winter hours or summer hours in 2021. There has for some time been a debate in Spain on whether it should move to the same time as Britain, Portugal and Morocco. These are all one hour behind Spain both in summer and in winter on GMT. The suggestion is that Spain is in the wrong time zone for its geographical position. That means, goes the argument, that people end up eating at 11pm at night. It would be beneficial for Spanish people to go to eat earlier, watch prime time TV at 9.30pm instead of 10.30, and go to bed earlier! However, not everyone agrees. The government of the Balearic Islands wants to keep summertime all year round, and 82% of Spaniards wanted to do the same according to a recent poll. Nothing can change however until the bill goes to the European Council, consisting of a member from all 27 counties and they unanimously agree to allow each country to choose their clock. Ready to go? 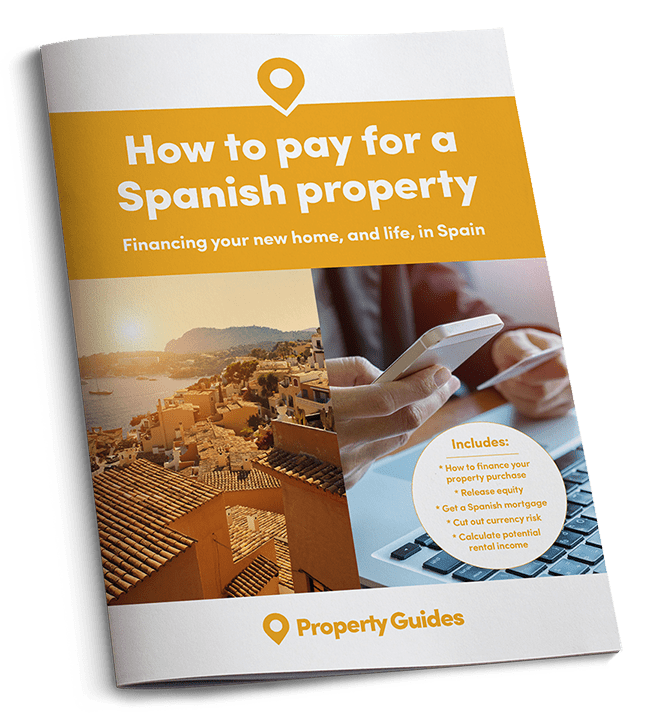 Property Guides will be at Your Overseas Home. It’s a new style of property show, where you can get answers to your detailed questions and be introduced to trusted lawyers, agents and currency providers. Check out the video below then click here to apply for FREE tickets to shows across the UK.